Exercises include: Core conditioning, short distance running (less than one mile), muscular strength, jumping rope, circuit training, sport yoga, fitness kick boxing, sport drills, obstacle courses, surprises, and more! 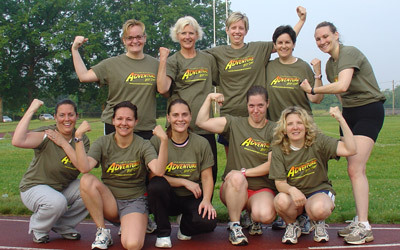 Women of all fitness levels, shapes, sizes and ages are gaining great results with Adventure Boot Camp! You can too! 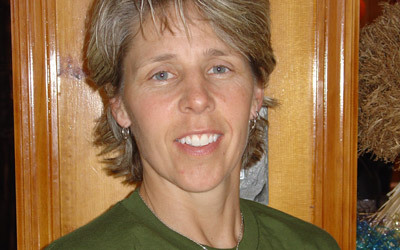 Are you looking for a jump-start to your fitness program? Then this adventure is for you! Whether you are a beginner, an avid fitness enthusiast or just tired of the same old routine... come try this whole new approach to exercise...fun! 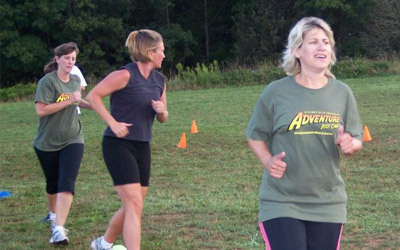 Garden State Adventure Boot Camp is a four week dynamic outdoor fitness program (indoors during the winter months) that offers fitness instruction, nutritional counseling and motivational training - packed with fun and energizing activities designed to help you reach your fitness goals. Whether you want to lose weight to fit into that special dress, shed the extra pounds from a pregnancy or just get fit before that special occasion, this is the program for you.